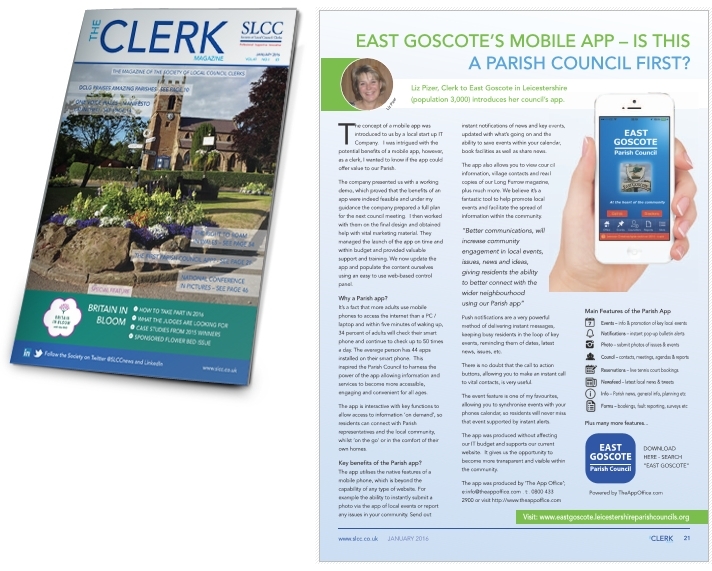 We were pleased to see that the app we have created for East Goscote Parish Council was featured in this month’s edition of the The Clerk magazine. Read the full article here. It is now a fact that more people use mobile devices to browse the internet and use mobile apps which led to the Parish Council wanting to leverage the power of mobile in delivering information and services in a more accessible and convenient way. The article is on page 21 of The Clerk Magazine (Society of Local Council Clerks) click here for article. Also featured in the Melton Times. Read the article here.